Symantec which is an American technology company headquartered in Mountain-View, California, is a company that produces software for security, storage, backup and availability while offering professional services to support its software. Well, it seems that the company has taken a major leap in acquisitions as of this week. The company has recently announced that they have acquired the U.S. based identity-theft protection services company LifeLock for a value of $2.3 billion. Fortune reports that the deal will expand Symantec’s consumer offerings after its $4.65-billion purchase in August of Blue Coat, which helps companies maintain security over the internet. It would also represent a victory for activist hedge fund Elliott Management, which had pushed LifeLock to explore its options. Symantec said the LifeLock deal is not expected to have a material impact on its financial results next year, and reaffirmed its fiscal year 2017 and 2018 guidance. So my question, how did this happen and what makes this acquisition so important by today’s standards? Well let’s just say Symantec does bring an impressive portfolio that carries amazing clout. Symantec offers an array of services for consumers and businesses within the security industry. One major component is the ability to provide current up to date threat reports in real-time. Symantec reports that in 2015, the number of zero-day vulnerabilities discovered more than doubled to 54, a 125 percent increase from the year before. Or put another way, a new zero-day vulnerability was found every week (on average) in 2015. Given the value of these vulnerabilities, it’s not surprising that a market has evolved to meet demand per one of many statistical-reports provided too customers. Symantec also reports that in 2015, we saw a record-setting total of nine mega-breaches, and the reported number of exposed identities jumped to 429 million. But this number hides a bigger story. In 2015, more companies chose not to reveal the full extent of their data breaches. A conservative estimate of unreported breaches pushes the number of records lost to more than half a billion. Now combine the success of LifeLock and the success and power of Symantec this is a security match made in heaven. What makes this statement concrete though? LifeLock is based out of Tempe, Arizona. It offers services like monitoring new account openings and credit-related applications in order to alert consumers about unauthorized use of their identity. It also works with government agencies, merchants and creditors to remediate the impact of identity theft. Executive Vice-President Fran Rosch of Norton Business Unit, stated that Symantec had dabbled in identity security but has nowhere near Lifelock’s 4.4 million members. Symantec also said the LifeLock deal is not expected to have a concrete material impact on its financial results next year, and reaffirmed its fiscal year 2017 and 2018 guidance. The deal also represents a victory for activist hedge fund Elliott Management Corp, which had pushed LifeLock to explore its options. 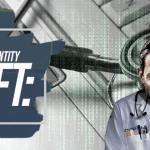 Looking to quantify the severity of identity theft in the modern age? Below are six alarming statistics that will make you want to go hide in a hole with all of your personal information! (Okay, maybe not that extreme.) But identity thieves are thrifty and no one is exempt from their trickery. In 2014, $5.8 billion was given to identity thieves from the IRS due to fraudulent returns. Identity thieves use random social security numbers to file tax forms and by chance, it could be yours. Children are susceptible to identity theft. Since most people under-18 are not actively applying for credit or monitoring it, minors can become easy prey. If you are worried, you can freeze your credit report to protect your identity. Just pay a small fee to keep your personal information from being used to obtain new lines of credit. 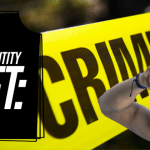 If you want more facts about identity theft, continue to read this article here for more scary identity theft stats. So in the grand scheme of things what does this all really mean? Does this mean that this is one of the biggest mergers in history? Well maybe it is all of those things, but we just have to let time tell. Indeed, its business model aligns closely with Symantec, which charges $20 and up for a year of often unnecessary anti-virus protection. Now, I do feel this is a major plus and step in the right direction for both companies. Think about it, now these two companies are able to bounce ideas off one another and expand into diverse arenas while continuing to grow their business. I also believe this is a plus for consumers as now you have one company that can offer a plethora of security services. I feel that security in the future looks great and has an even more stable foundation to last for years to come. Symantec, the Owner of Norton Anti-Virus Software - is Buying Identity Theft Protection Juggernaut LifeLock for $2.3 Billion.